A trial of the experimental Ebola drug brincidofovir in Liberia has been halted due to a significant drop in the number of new Ebola cases, coupled with the 30 January announcement by the drug’s manufacturer that it would no longer participate in the trial. Led by Oxford University, the trial into a potential treatment for the disease was launched in early January in an Ebola management centre run by international medical organisation Médecins Sans Frontières/Doctors Without Borders (MSF) in the Liberian capital Monrovia. For the results to be scientifically robust, the experimental drug needs to be tested on large numbers of patients. With patient numbers decreasing at MSF’s centre in Monrovia over recent weeks, Oxford University and MSF had planned to extend the trial to one of MSF’s Ebola management centres in neighbouring Sierra Leone. That option was excluded on 30 January by the unexpected announcement by drug manufacturer Chimerix that it would no longer participate in the trial in Monrovia, nor in any other locations. As a result, the Trial Steering Committee, which includes leading scientists from Liberia, Oxford University and MSF, decided today to stop the trial with immediate effect. 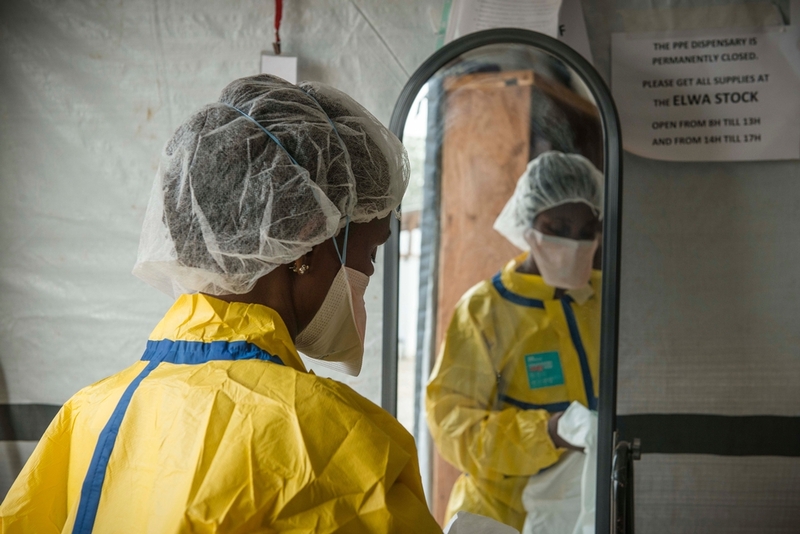 “We’re relieved that there are fewer patients infected with the Ebola virus in Liberia,” says Dr Bertrand Draguez, MSF medical director overseeing the trials. Low patient numbers are also proving to be a challenge for the other trials in which MSF is involved in west Africa, but MSF is determined to do everything it can to make these trials produce useful results. In Guinea, MSF is currently facilitating a trial of the antiviral drug favipiravir, while a trial using the blood plasma of Ebola survivors will start next week. The halting of the brincidofovir trial in Liberia does not signal the end of MSF’s involvement in the countries worst affected by Ebola. “The number of patients may be declining, but the epidemic certainly isn’t over yet,” says Dr Draguez. “We are adapting our operational response to this new phase of the epidemic, with an increased focus on surveillance and contact tracing.